First Read With Your Roadrunner of 2017! But for now, I’ll share pics from our first Read With Your Roadrunner. We had so many family members representing, and I love that kiddos were willing to share their parents with other kids who didn’t have someone (even with my own kiddo who needed someone since I had to be teacher, not mom–thanks Nicholas!!). We had several siblings who came to join us, too, and believe me–RWYR is always a GREAT way to start the day! Can’t wait to see even more next time! Mrs. Weststrate and Mrs. Dix came to join us! Nicholas let my Allie join his family for the morning! Ms. Clay read with Mkahi and Makenna. 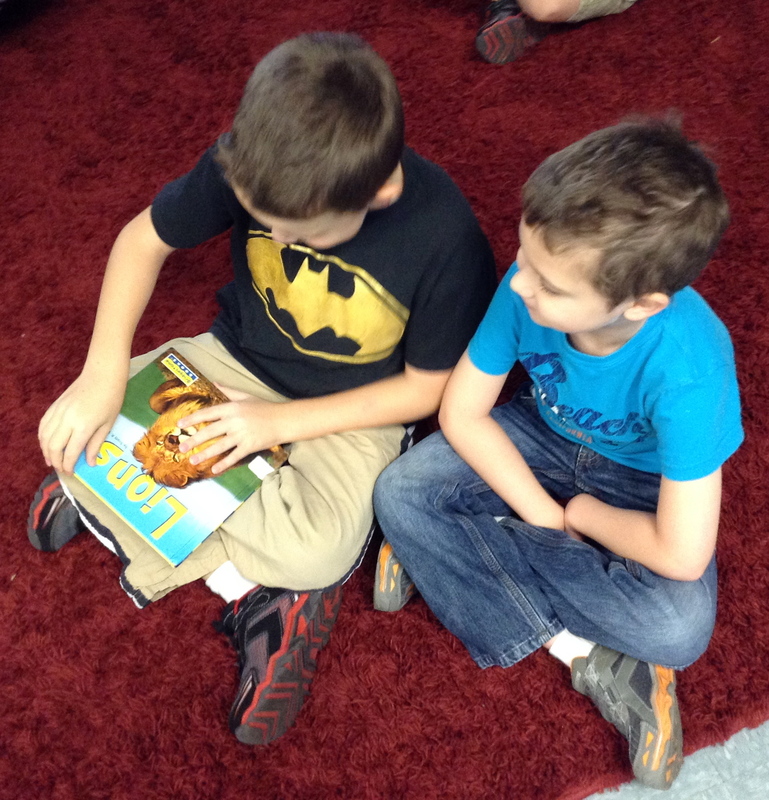 Bennett and Campbell shared a book together. Mr. van Alstyne shared a book with Thomas and Avi and he has a SUPER reading voice! 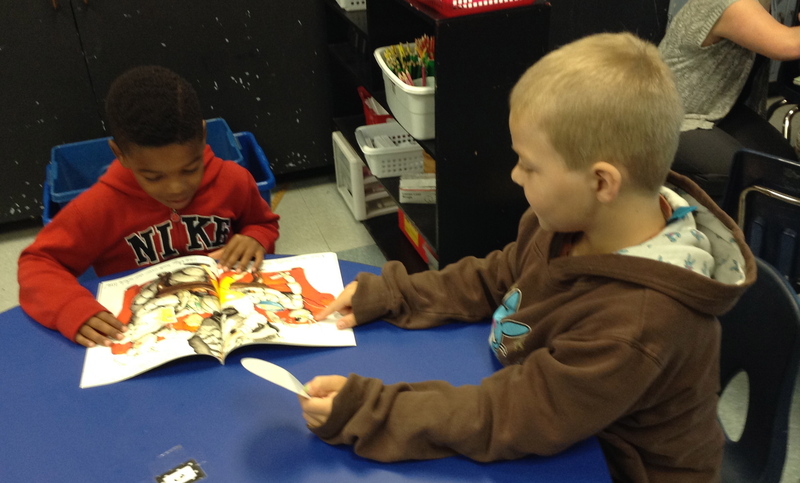 Zander and his brother shared a chapter book! I love how our school takes an effort to include all parts of a kiddo and their family in our learning! One thing we do on a regular basis is to host Read With Your Roadrunner, where kiddos are invited to bring in their family (or friends!) 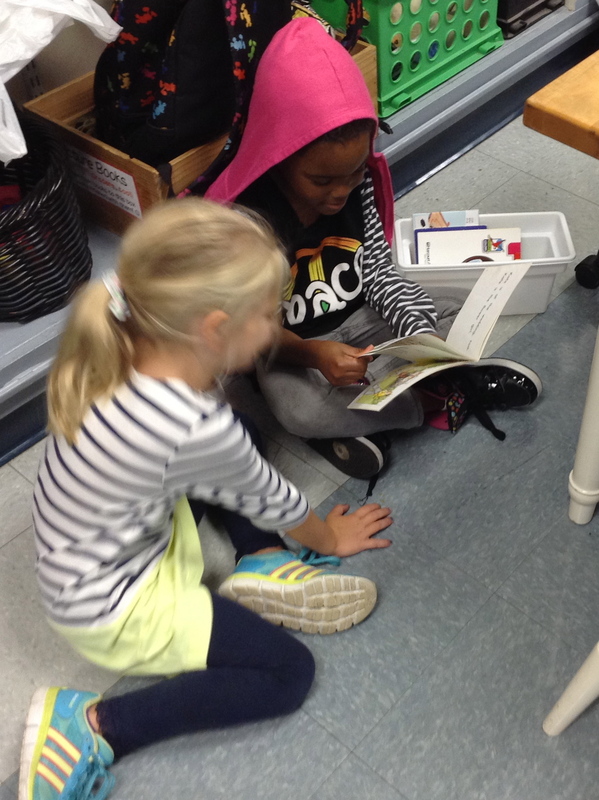 to start the day sharing a great book together. Can’t wait ’til next time! Maybe you can join us! Mark your calendars for January 13th, 2017! 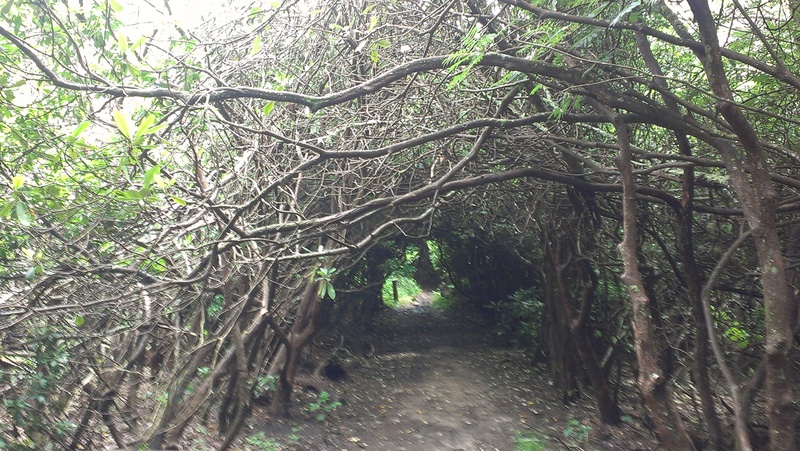 If you have been around here for a while, you know that I am a thinker. Sometimes I think too much. Like I-can’t-get-to-sleep-for-a-long-time-at-night-because-my-brain-won’t-turn-off kind of thinking. Most often, though, I can use my overactive brain for good things. I discovered this bracelet the other night in my jewelry box, after not having worn it for a while. I actually forgot I had it. It was a gift from a fabulous family I’ve had the pleasure of working with at school. 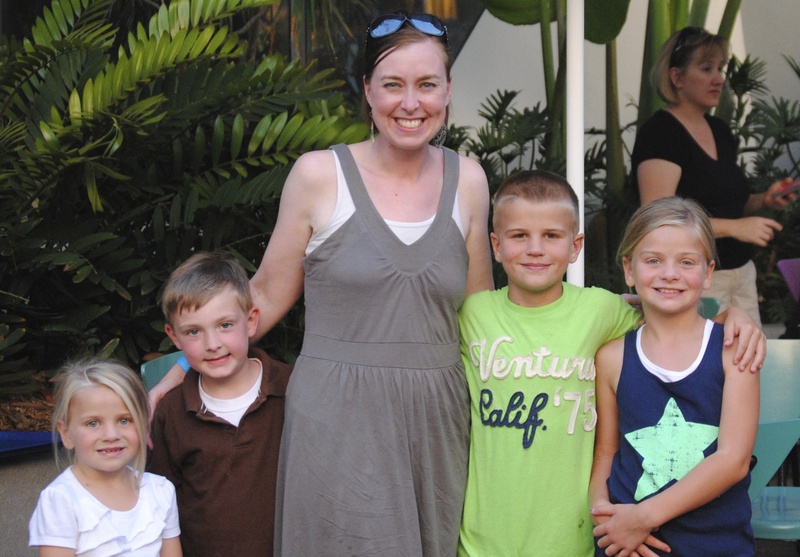 I was lucky enough to have taught two of their children–one of them twice! As I looked down at the charm, I thought of how “Let Creativity Rule” could really be one of the phrases for my life. It seems to come up in so many places for me. In my classroom, I try to be the kind of teacher who is a facilitator and a designer, rather than a dictator or an information-dumper (yeah, I just made that up, I think). I believe that knowledge is most powerful when you create it for yourself, and that connections kids make on their own mean much more than ones I make for them. I see my role as an educator as the one who helps create opportunities for my learners to figure things out, to put things together, to wonder and then discover answers for themselves. Don’t get me wrong–there are times when you have to lay it all out there, because yes, there are some things that kiddos would never just find out without guidance. But for the most part, I want my students to be in charge of their learning. Alongside the opportunities, comes the freedom to make choices about how that learning will happen. There are very few things in my classroom that I have to have happen a certain way; labeling is one of the things I care deeply about, as well as coloring-coding certain things we use all the time, as a means of helping to keep things organized. Oh, and fonts. I love them. I collect them in fact, and usually have one as my “go-to” font for the year. And yes, I have been known to recreate forms and sheets that people share with me because I have to make them look a certain way. Hey–everyone has something like that right? But outside of those couple of things, my children are free to make decisions about what and how they learn things, as well as how they demonstrate that learning. I want my kiddos to have a variety of ways to show what they know; not everyone can best do this with pencil and paper as is typical in many classrooms. It is common for my students to show their understanding of a concept by building with Legos, using big wooden blocks, drawing a picture, acting it out, recording themselves talking about it, writing a story (or some other kind of explanation) and yes, sometimes by taking a test. The possibilities are endless, and one of the things I like the best is that sometimes kids come up with ideas that are even better than an option I could have given them. 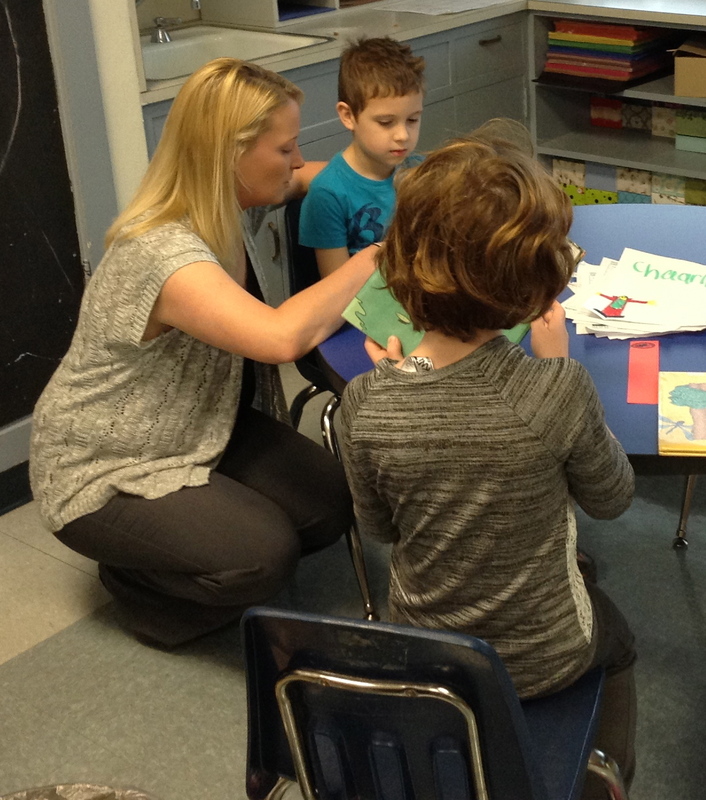 The point is showing me–as well as their classmates–that they understand what they’re learning. The other thing I was thinking as I was looking at my hand (that sounds really funny, doesn’t it?) is how important my family is to me. 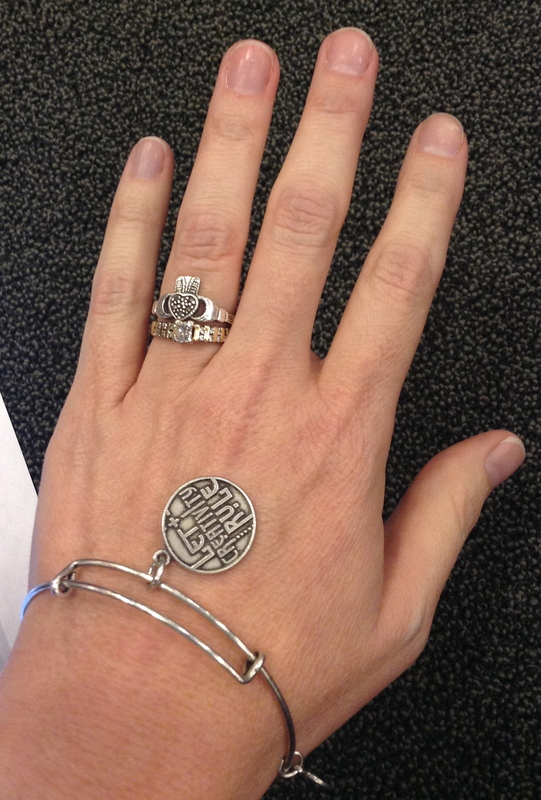 My wedding rings remind me of my fabulous hubby and our amazing kids, and how lucky I am to have them. I don’t think I would be the teacher I am, actually, without them. I take so much of them to school with me, and they often help me think through struggles I’m having and help me solve problems (my son is really helping me this year since he was in 1st grade last year, I run a lot of ideas by him before I try them with my Rm. 202 kiddos!). My husband is a teacher, as well, and I know that while there is a LOT of shop talk at our house, I am so grateful to have a spouse who “gets” what I do. We have even taught the same grade levels at times, which makes for another layer of fun as we brainstorm classroom ideas together. 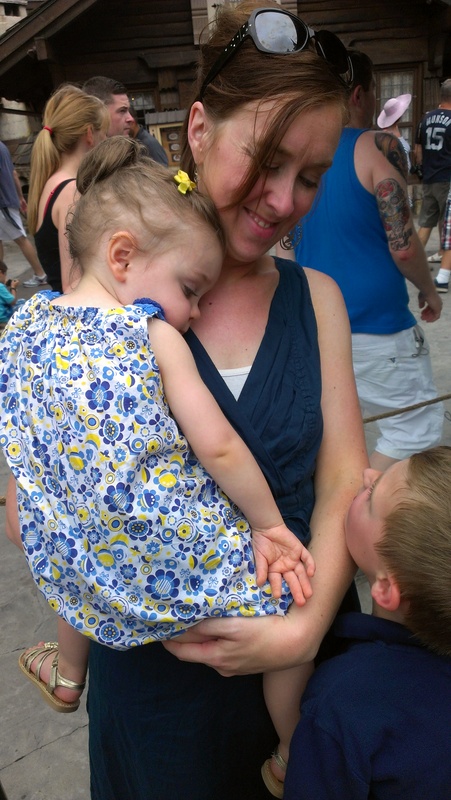 I have been thinking lately how much being a mom helps me as a teacher, too. Don’t get me wrong, you can be a GREAT teacher without being a parent, but for me, there has been another level of understanding since I’ve had kids of my own. Oh, and now that my kids are in school, I have a much better understanding of what it means to give your baby over to the care of someone else. I am so blessed that the families I work with let me do that every day. Believe me–I do my best to do them proud and take good care of their little ones, as I would hope would happen for mine! 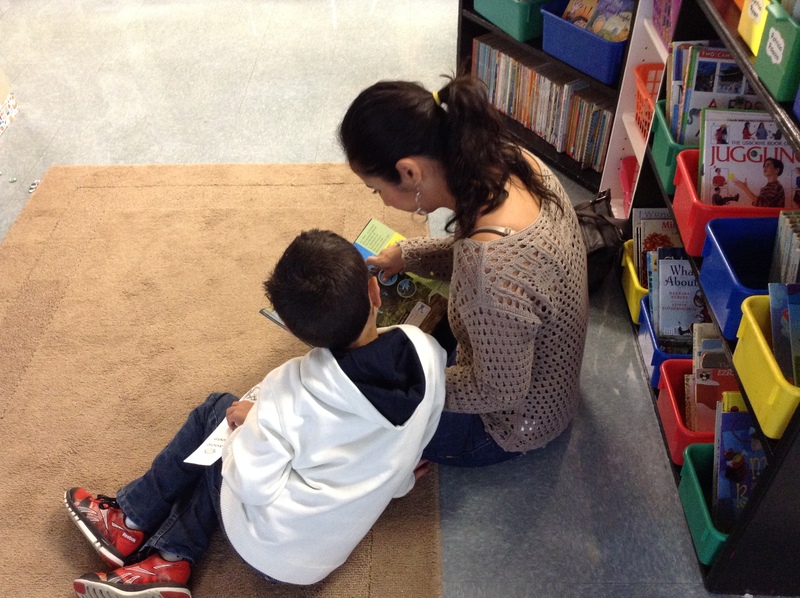 Diego and his mom enjoy a story together! JKB’s mom got to stay and share a story with he and Emily for a little while. Briannia and Amelia are checking out her bookbox together. 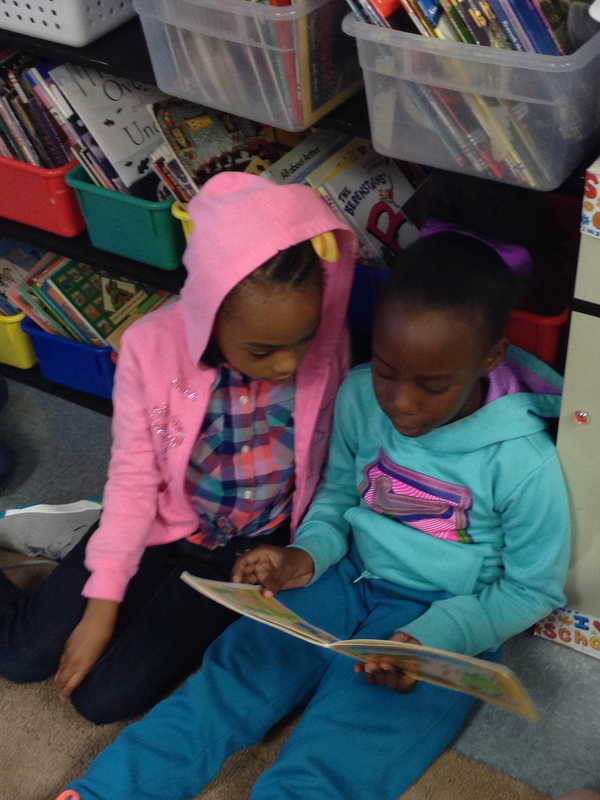 Two more super-focused Roadrunners–Sara and Makayla–read together. 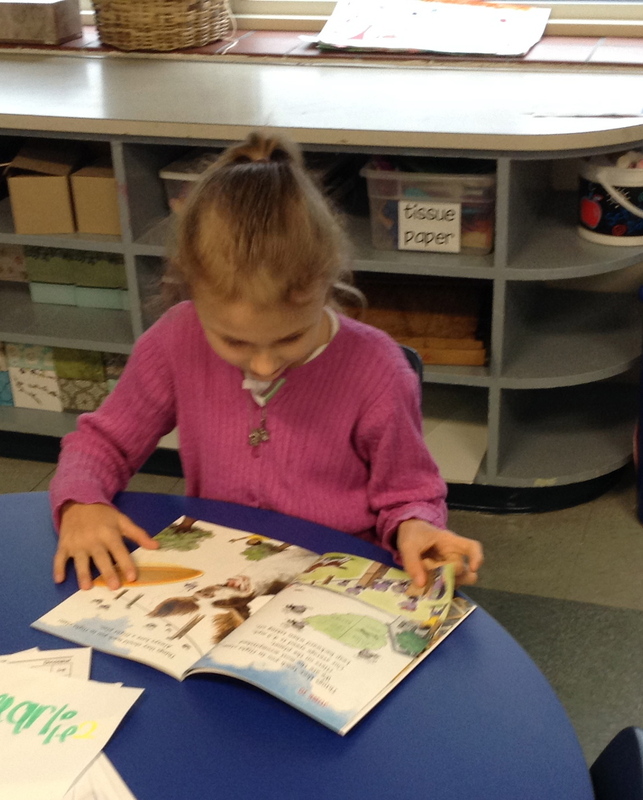 Some friends chose to read alone: Kylie is busy with a favorite story. 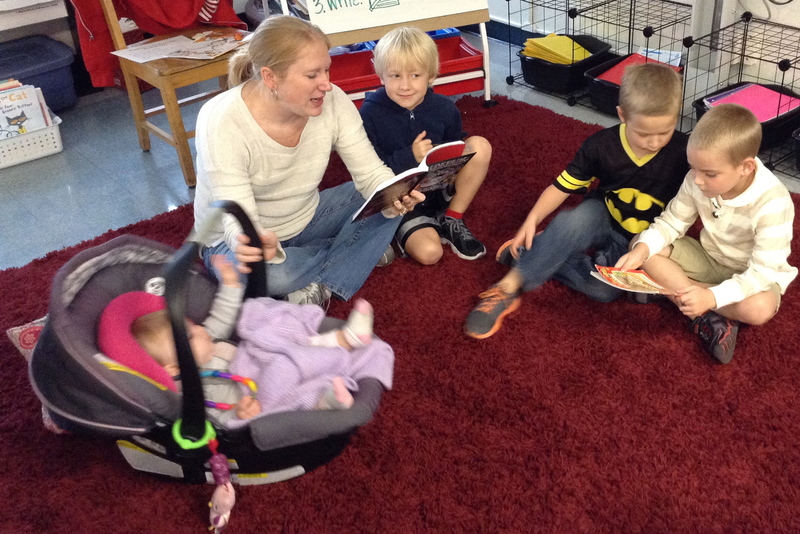 Evan, his mom and his baby sister are enjoying a new Captain Underpants book–another good find from our book fair! JKB and Thomas checking out a non-fiction text about lions. The group on the carpet got bigger! 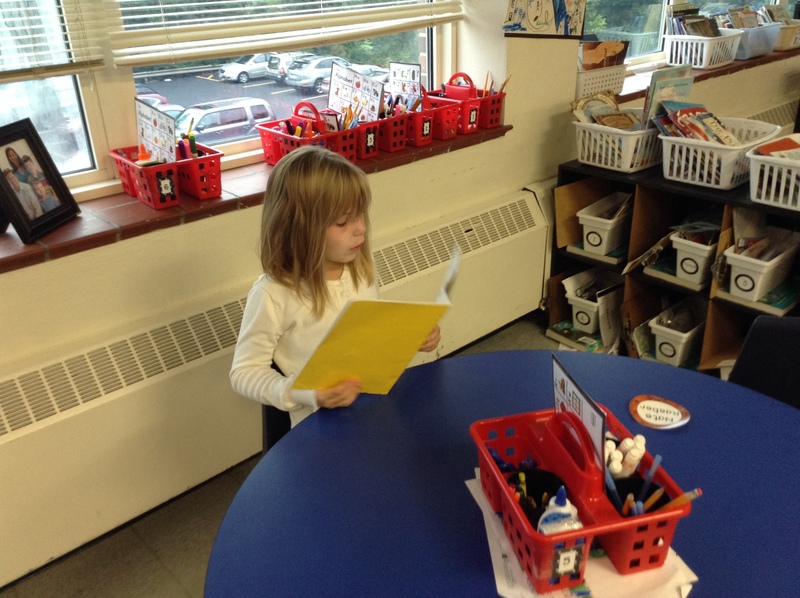 Ella Marie reads quietly at her table to start the day. 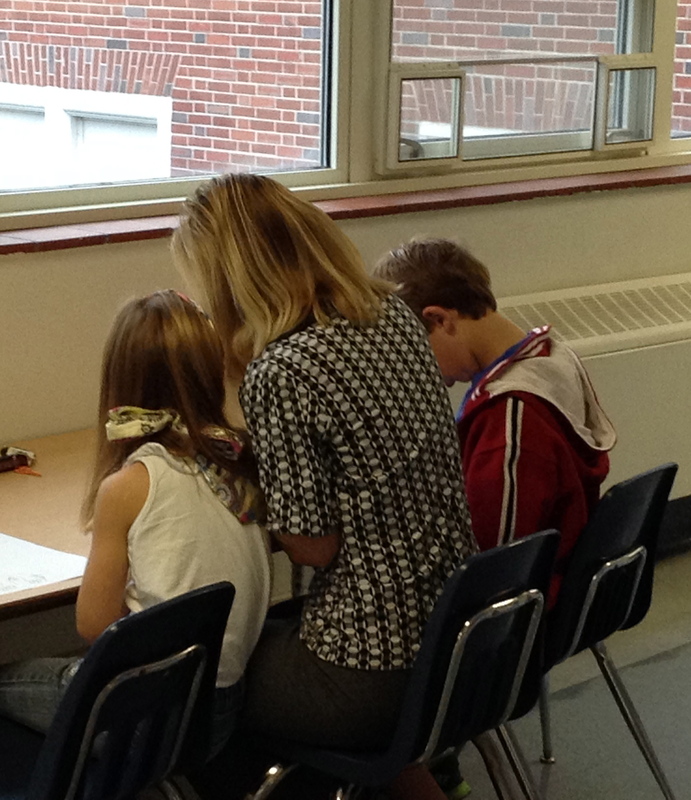 Lauren brought her brother and her mom to read together with her! 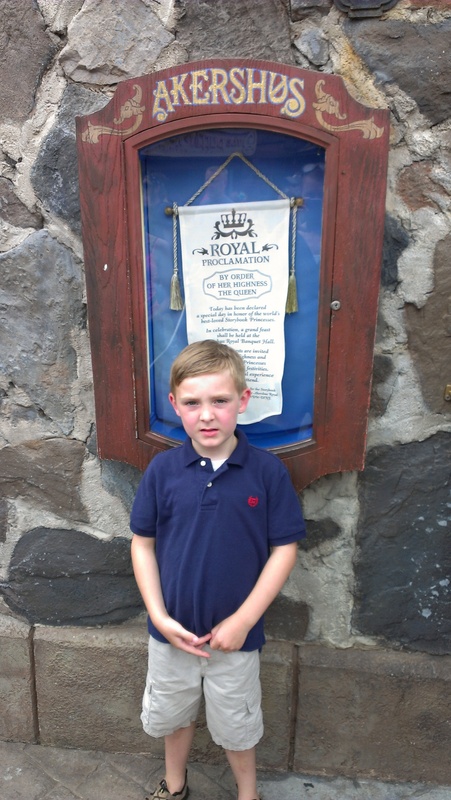 Even little Roadrunners can read together–C.J. and Landen are checking out a new book fair book–Bugs in My Hair! 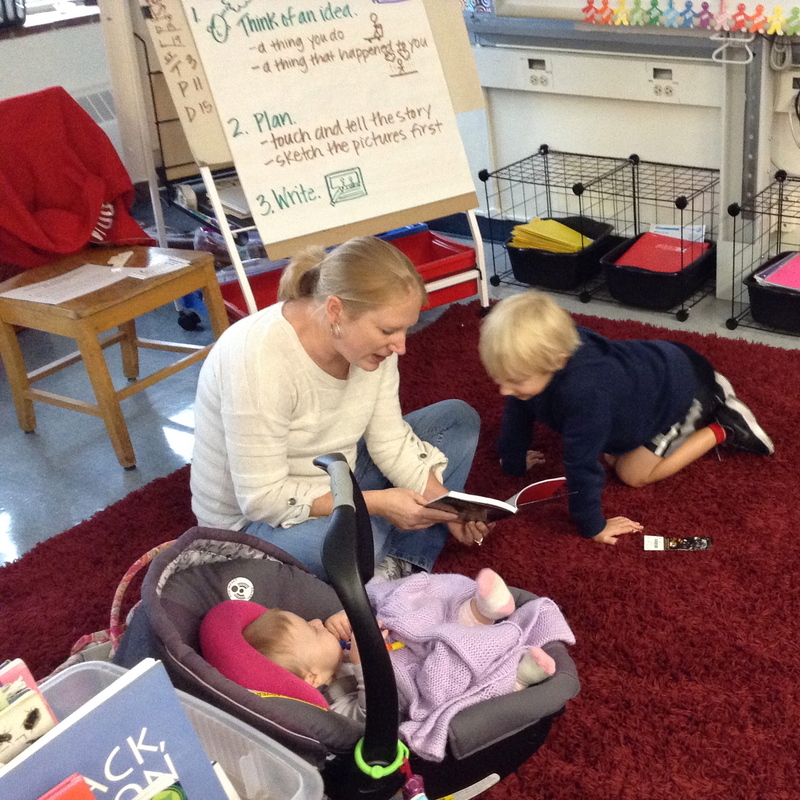 What a great way to share a love of reading, time with our families and start our Friday off on a good foot! 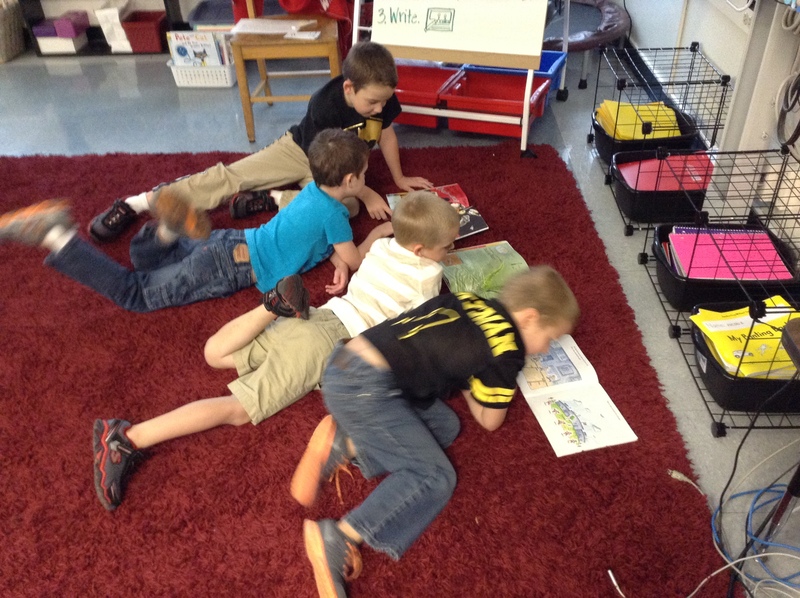 What was your favorite part of Read With Your Roadrunner? The Kooky Teacher Has Kooky Kids! In addition to finding tons of great, new books to share with my new class, I also had some fabulous opportunities to travel with my family! This IS indeed, the Happiest Place on Earth! 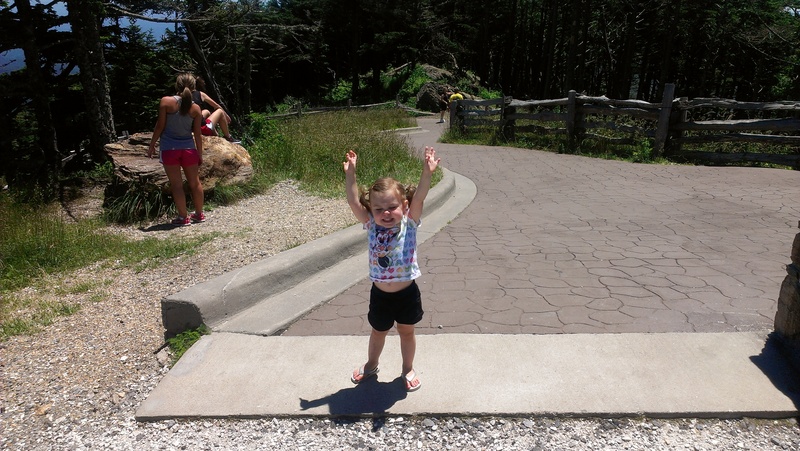 We spent the first 10 days after school was out in our favorite place, which is the week we typically go because it’s not too hot yet, and the crowds aren’t as crazy as later on in the summer. This year’s weather was a little weird, though, because Tropical Storm Andrea decided to come for a visit at the same time as we did. It was rainier than normal (not the usual 3 o’clock shower that is over in 5 minutes) and cloudy most of the time we were there. But hey–we didn’t let that get us down! We’ve been to WDW many times, but we always find a way to make new memories. 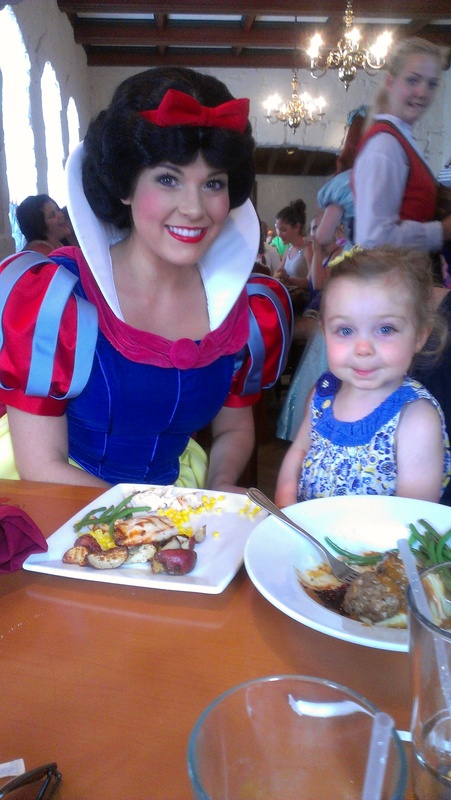 Two highlights from this trip were the Princess dinner we had at Akershus Royal Banquet hall–in Epcot’s Norway pavilion–for Allie (which we actually went to on Daddy’s birthday–HA!) 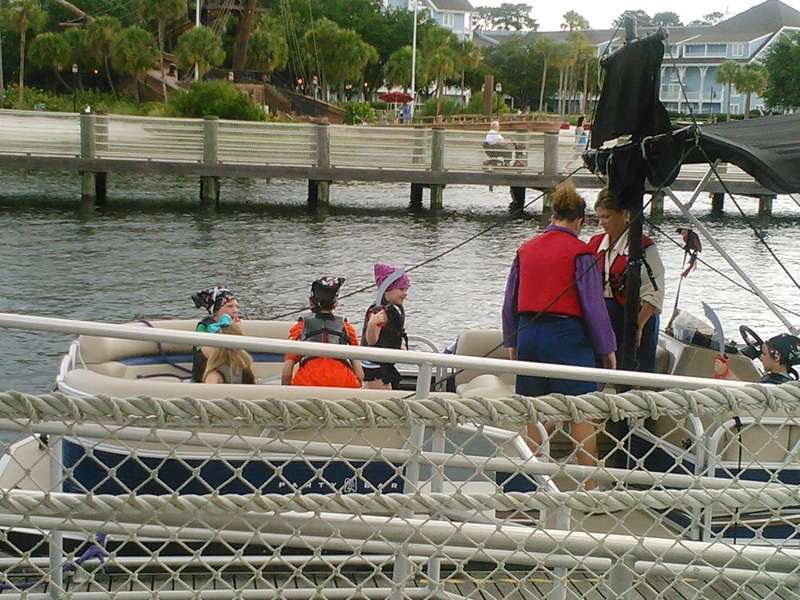 as well as a Pirate cruise that Riley took with a small group around Crescent Lake near Epcot. 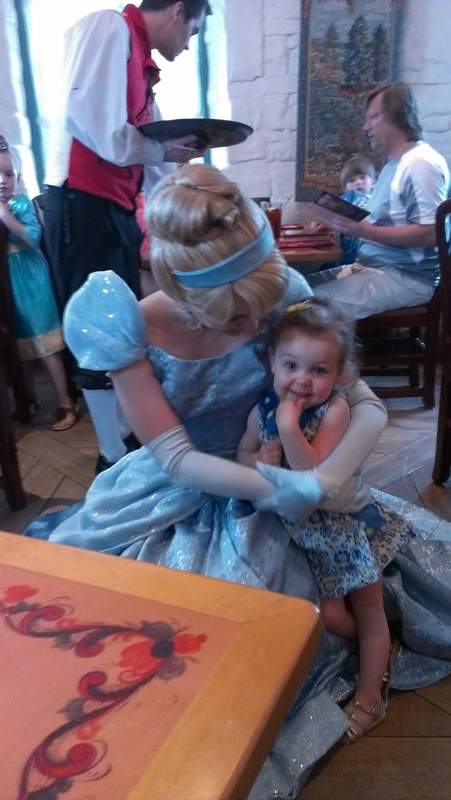 I was so surprised as how shy she was around the princesses. Those are pretty much the only two that she would talk to–when the others came around she was buried in my shoulder hiding her face! She did the same thing for Mickey and the others, too, which just surprised me because of how naturally outgoing she normally is! Our prince was not at all bothered by all the pretty ladies who came to our table, though, and he took pictures with them instead! I don’t really have many good pics of Riley’s cruise, but that’s mostly because I wasn’t there! 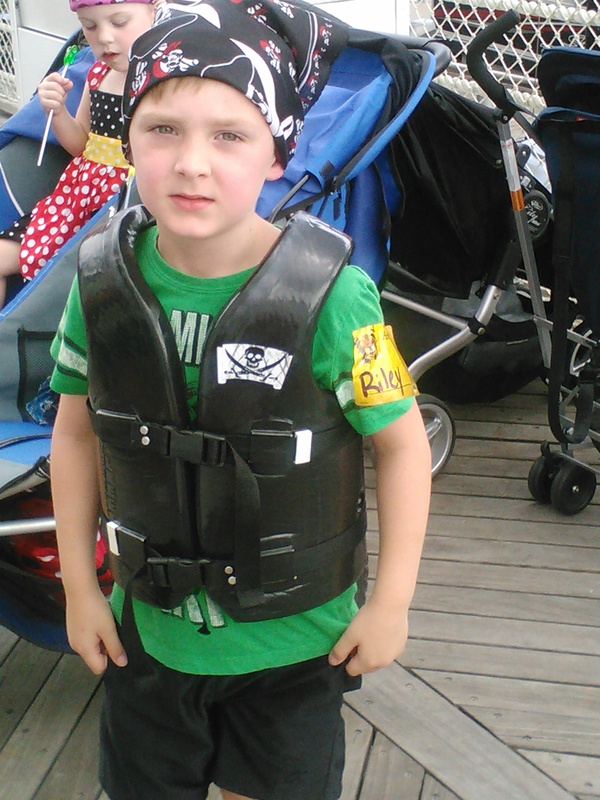 He took off in his pirate skipper with the tour guides and 5 or 6 other kiddos in search of Captain Stinkyfeet who had stolen the pirate treasure! I was so proud at his willingness to do that without us (he’s learning to let go 🙂 ) and he had a SUPER time. It was all he could talk about for days afterward! 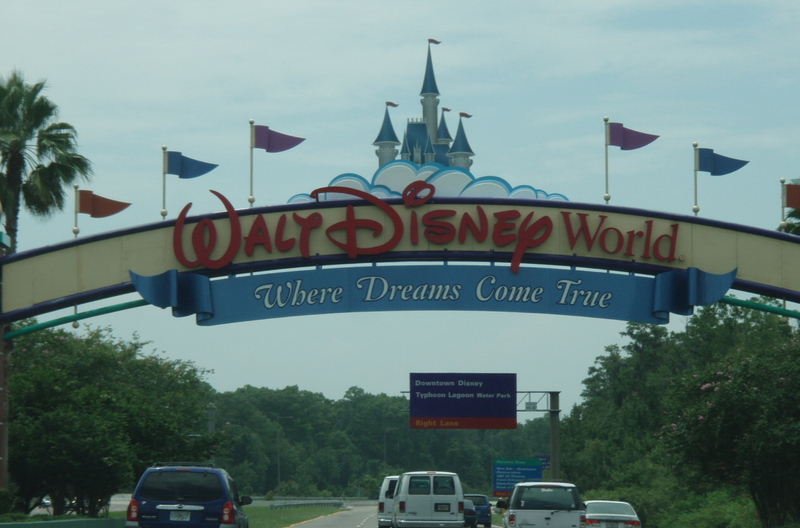 Disney is usually our big excursion for the summer, but this summer we finally got around to going somewhere else in the world (which is honestly a BIG DEAL for our family!). 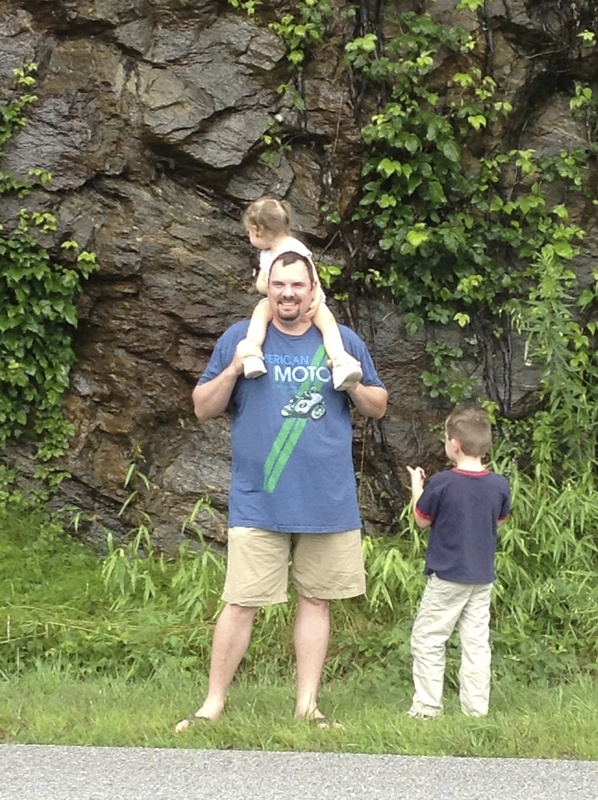 So in July we packed up and headed east to Charlotte, NC to visit some friends who had moved there a few years ago. We spent a lovely weekend with their family (of which I have NO pictures–I realized this after we were home…) and then headed to Asheville for the next few days. 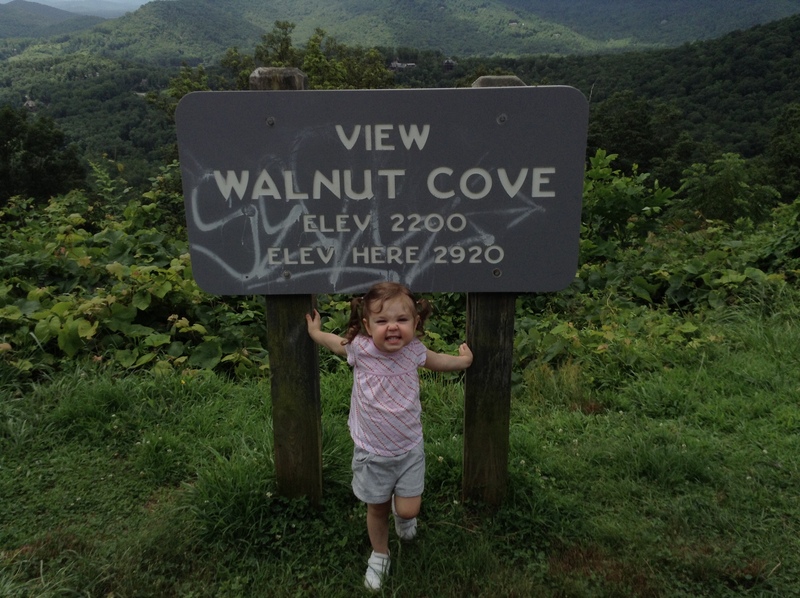 We were excited to see the mountains, as well as enjoy Asheville’s food scene, which is focused on sustainable, local, fresh ingredients and is right up our alley! 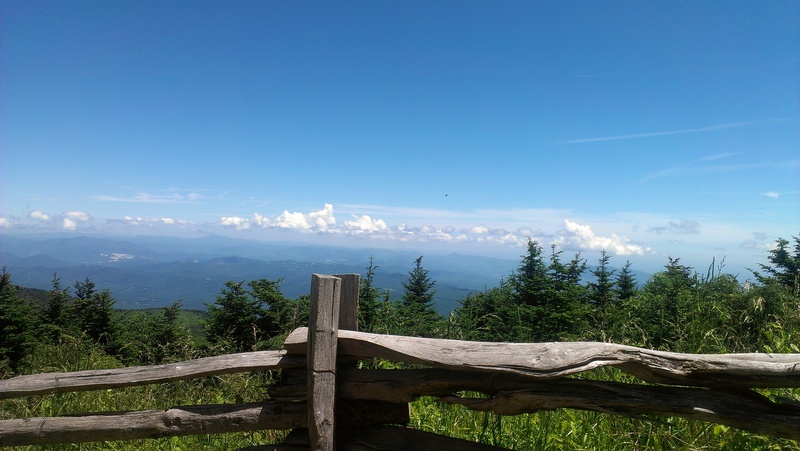 Several days we went driving on the Blue Ridge parkway, which is the scenic route through the Blue Ridge mountains and afforded us some AMAZING views, along with tunnels and roadside overlook points to stop and check out. 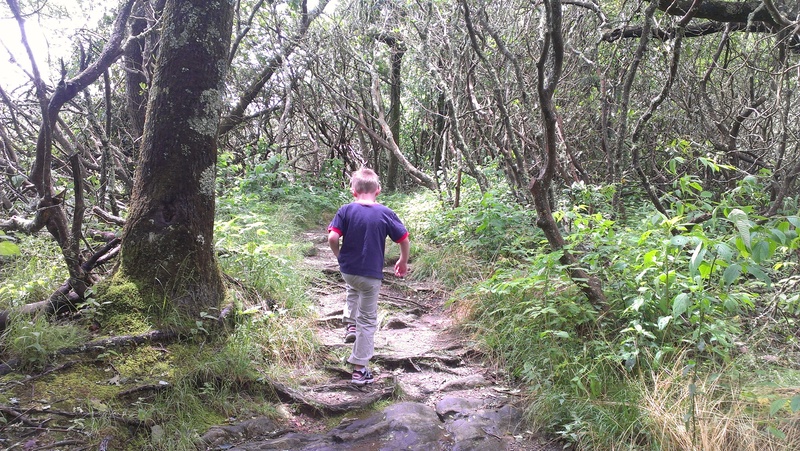 We went shopping, ate some fabulous food, and also visited the Western North Carolina Nature Center. 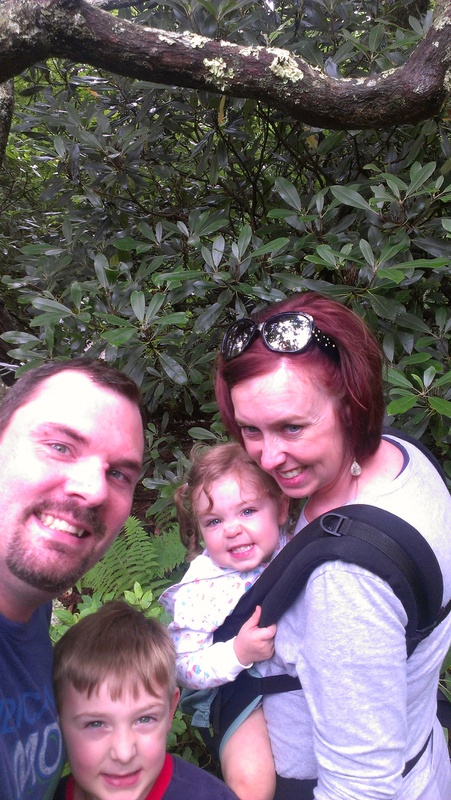 While we’re definitely still lovers of all things Disney, this was a great time for our family and it’s the trip that Riley keeps going back to when he reminisces on his summer fun! 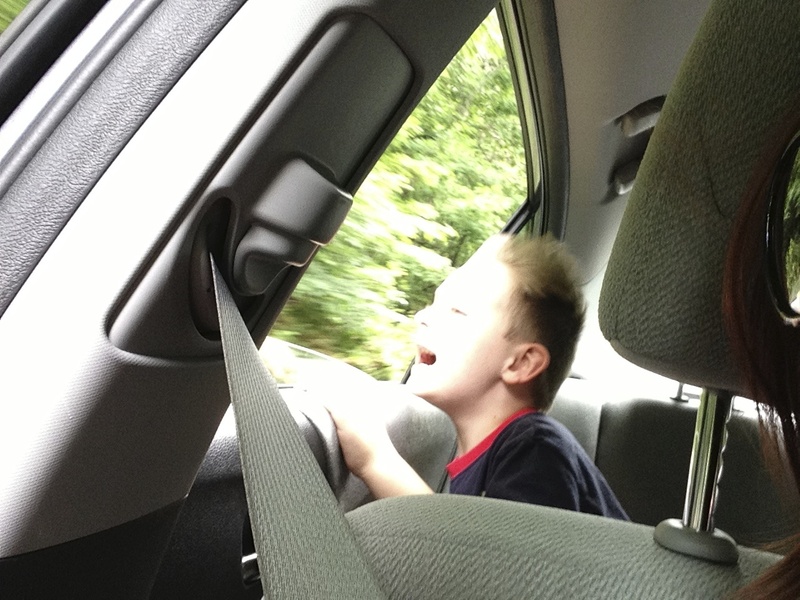 This one cracks me up! Just an example of the cool rocks we drove next to on the road–here we stopped to look at the water running down the walls. Obviously it was more interesting than smiling at me for the picture! 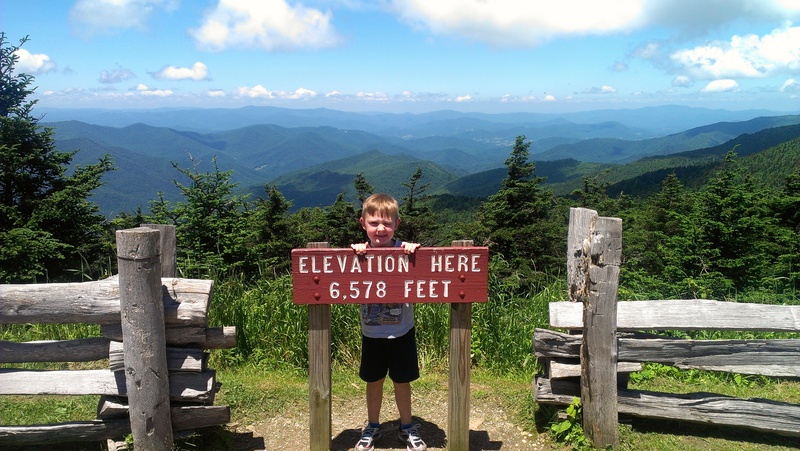 We also learned that Asheville is home to the highest point east of the Mississippi river–Mount Mitchell. So fun to trek to the top of it! Such beautiful views from way up there! Doesn’t that picture just say it all? WE HAD FUN! !